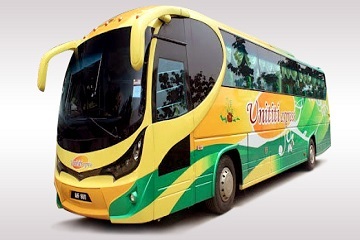 Unititi Express is one of the most popular express bus company based in Cameron Highlands. It provides express bus services departs from Kuala Lumpur, Cameron Highlands and Perak to various cities in Peninsular of Malaysia. 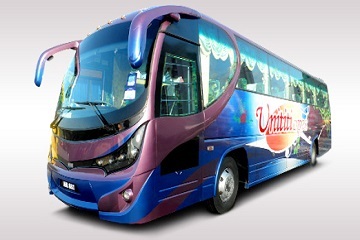 Unititi Express specializes in routes depart from Terminal Bersepadu Selatan to Tapah, Terminal Bersepadu Selatan to Cameron Highlands, Cameron Highlands to Butterworth, Cameron Highlands to Bidor, Ipoh Amanjaya to Butterworth and many more. Popular routes include route from Terminal Bersepadu Selatan to Cameron Highland which cost RM 35 per person and route from Cameron Highlands to Penang which cost RM 32 per person. 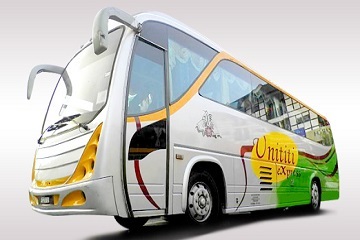 The buses offer by Unititi Express are in single deck with 30 seats. The buses are equipped with adjustable seat to ensure ample leg room. The foot resting is also specially designed to give a better and more comfortable support. In addition, all of their buses are equipped with air-conditioning and Unititi Express offers friendly service to all of their passenger. Unititi Express takes pride in the quality of their buses. They constantly upgrade and maintain all their buses in order to ensure all of their buses are in top conditions. Unititi bus driver are experienced and well-trained to provide passengers the safest and most comfortable journey. 36, Jalan Besar Brinchang, 39100 Cameron Highlands, Pahang, Malaysia. Cameron Tourist Information Centre, Tanah Rata. Hentian Pudu Raya, Kaunter 41, 55100 Kuala Lumpur.